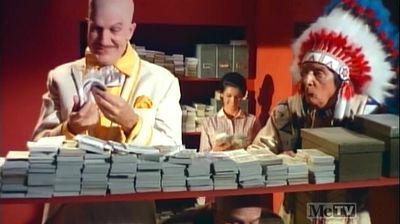 When the lease payment for Gotham City fails to be made on time, possession of the city falls into the hands of Egghead. Chaos ensues as the villain fires Commissioner Gordon and bans the Dynamic Duo from city limits. While the criminal underworld enjoys free reign, Batman and Robin search the city charter's fine print for a solution.